The capability upgrade has happened outside the attention of most government officials, who have been preoccupied with reducing nuclear warhead numbers. The result is a nuclear arsenal that is being transformed into a force that has the unambiguous characteristics of being optimized for surprise attacks against Russia and for fighting and winning nuclear wars. The US nuclear forces modernization program has been portrayed to the public as an effort to ensure the reliability and safety of warheads in the US nuclear arsenal, rather than to enhance their military capabilities. In reality, however, that program has implemented revolutionary new technologies that will vastly increase the targeting capability of the US ballistic missile arsenal. This increase in capability is astonishing—boosting the overall killing power of existing US ballistic missile forces by a factor of roughly three—and it creates exactly what one would expect to see, if a nuclear-armed state were planning to have the capacity to fight and win a nuclear war by disarming enemies with a surprise first strike. Because of improvements in the killing power of US submarine-launched ballistic missiles, those submarines now patrol with more than three times the number of warheads needed to destroy the entire fleet of Russian land-based missiles in their silos. US submarine-based missiles can carry multiple warheads, so hundreds of others, now in storage, could be added to the submarine-based missile force, making it all the more lethal. The revolutionary increase in the lethality of submarine-borne US nuclear forces comes from a “super-fuze” device that since 2009 has been incorporated into the Navy’s W76-1/Mk4A warhead as part of a decade-long life-extension program. We estimate that all warheads deployed on US ballistic missile submarines now have this fuzing capability. Because the innovations in the super-fuze appear, to the non-technical eye, to be minor, policymakers outside of the US government (and probably inside the government as well) have completely missed its revolutionary impact on military capabilities and its important implications for global security. Before the invention of this new fuzing mechanism, even the most accurate ballistic missile warheads might not detonate close enough to targets hardened against nuclear attack to destroy them. But the new super-fuze is designed to destroy fixed targets by detonating above and around a target in a much more effective way. Warheads that would otherwise overfly a target and land too far away will now, because of the new fuzing system, detonate above the target. The result of this fuzing scheme is a significant increase in the probability that a warhead will explode close enough to destroy the target even though the accuracy of the missile-warhead system has itself not improved. This vast increase in US nuclear targeting capability, which has largely been concealed from the general public, has serious implications for strategic stability and perceptions of US nuclear strategy and intentions. Russian planners will almost surely see the advance in fuzing capability as empowering an increasingly feasible US preemptive nuclear strike capability—a capability that would require Russia to undertake countermeasures that would further increase the already dangerously high readiness of Russian nuclear forces. Tense nuclear postures based on worst-case planning assumptions already pose the possibility of a nuclear response to false warning of attack. The new kill capability created by super-fuzing increases the tension and the risk that US or Russian nuclear forces will be used in response to early warning of an attack—even when an attack has not occurred. The inability of Russia to globally monitor missile launches from space means that Russian military and political leaders would have no “situational awareness” to help them assess whether an early-warning radar indication of a surprise attack is real or the result of a technical error. The combination of this lack of Russian situational awareness, dangerously short warning times, high-readiness alert postures, and the increasing US strike capacity has created a deeply destabilizing and dangerous strategic nuclear situation. When viewed in the alarming context of deteriorating political relations between Russia and the West, and the threats and counter-threats that are now becoming the norm for both sides in this evolving standoff, it may well be that the danger of an accident leading to nuclear war is as high now as it was in periods of peak crisis during the Cold War. How the new accuracy-enhancing fuze works. The significant increase in the ability of the W76-1/Mk4A warhead to destroy hardened targets—including Russian silo-based ICBMs—derives from a simple physical fact: Explosions that occur near and above the ground over a target can be lethal to it. This above-target area is known as a “lethal volume”; the detonation of a warhead of appropriate yield in this volume will result in the destruction of the target. The recognition that the killing power of the W76 warhead could be vastly increased by equipping it with a new fuze was discussed in a 1994 alternate warhead study conducted by the Defense and Energy departments. The study calculated the number of warheads that would be needed for the W76 to attack the Russian target base, if START II were implemented. At the time, W76/Mk4 warheads had a fixed height-of-burst fuze (meaning the fuze could not adjust its detonation at an optimal location if it were falling short or long of a target). With those fixed-height fuzes, submarine-launched nuclear missiles were mainly aimed at softer targets such as military bases. But the study found that an enhanced Mk4A reentry-body with a new fuze that provided for an adjustable height-of-burst as it arrives would have significant capabilities against harder targets, compared to warheads with the earlier fuzes. The study assumed that a smaller number of Mk4 nuclear warheads with higher killing power per warhead could cover the Russian target base and be more effective than multiple attacks on targets with less destructive warheads. In other words, an enhanced fuze would allow the United States to reduce the number of warheads on its ballistic missile submarines, but increase the targeting effectiveness of the fleet. Figure 2 illustrates the kill distribution of US submarine-launched nuclear missiles equipped with the earlier, fixed height-of-burst fuzes. The dome-shaped volume outlined in gray shows the lethal volume within which a 100-kiloton nuclear explosion will generate 10,000 pounds per square inch or more of blast pressure on the ground. In other words, if a target on the ground cannot survive a blast of 10,000 pounds per square inch or more, it will be destroyed if a 100-kt nuclear weapon detonates anywhere within that dome-shaped volume. FIGURE 2. Missiles with fixed height-of-burst fuzes can overshoot or undershoot the “lethal volume” (shown here by a gray, dome-shaped line), limiting their ability to destroy hardened targets. To show the physical relationship of the lethal volume for a particular ground target of interest—in this case a Russian SS-18 ICBM silo—Figure 2 was drawn to scale. Also shown to scale is the approximate spread of warhead trajectories that correspond to a missile that is accurate to 100 meters, a miss distance roughly the same as what is achieved by the Trident II sea-launched ballistic missile. Miss distances are typically characterized in terms of a quantity called the “circular error probable,” or CEP, which is defined as the radius of a circle around the aim point within which half of the warheads aimed at a target are expected to impact. In the case of a Trident II 100-kt W76-1 ballistic missile warhead, the lethal distance on the ground and the CEP are roughly equal. As a result, roughly half of the warheads equipped with the old, fixed-height fuze system could be expected to fall close enough to detonate on the ground within the lethal range. The new super-fuze for W76-1/Mk4A has a flexible height-of-burst capability that enables it to detonate at any height within the lethal volume over a target. 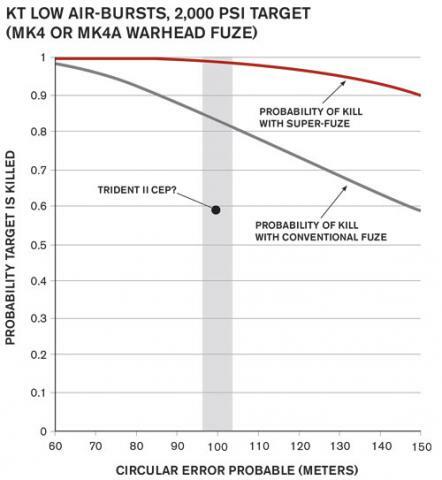 Figure 3 shows how the new fuze vastly increases the chances that the target will be destroyed, even though the arriving warheads have essentially the same ballistic accuracy. The super-fuze is designed to measure its altitude well before it arrives near the target and while it is still outside the atmosphere. This measurement would typically be taken at an altitude of 60 to 80 kilometers, where the effects of atmospheric drag are very small. At this point, the intended trajectory is known to very high precision before the warhead begins to substantially slow from atmospheric drag. If the warhead altitude measured by the super-fuze at that time were exactly equal to the altitude expected for the intended trajectory, the warhead would be exactly on target. But if the altitude were higher than expected, the warhead could be expected to hit beyond the intended aim point. Likewise, if the altitude is lower than that expected, the warhead would likely hit short of the intended aim point. By shifting the aim point down range by a distance roughly equal to a CEP, warheads that would otherwise fall short or long of the target using the conventional Mk4 fuze instead will detonate—at different heights dictated by the super fuze—within the lethal volume above a target. This shift in the down-range aim point will result in a very high percentage of warheads that overfly the target detonating in the lethal volume. The end result is that with the new Mk4A super-fuze, a substantially higher percentage of launched warheads detonate inside the lethal volume, resulting in a considerable increase in the likelihood that the target is destroyed. FIGURE 3. 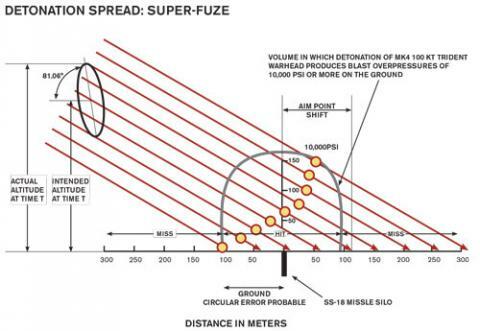 The tilted ellipse in the left upper corner of Figure 3 depicts the spatial distribution of incoming warheads at the time the super-fuze measures its altitude. In this particular case, the orientation of the ellipsoid indicates that the errors leading to a miss at the target are mostly due to a mix of small discrepancies in the velocity and direction of the warheads when they are deployed from the rocket upper stage outside the atmosphere. The orientation and dimensions of this ellipse are well known to a ballistic missile designer, so the altitude measurement can provide information that leads to an estimate of the distance from the lethal volume above the target. The ultimate effect of the super fuze's flexible burst-height capability is a significantly increased target kill probability of the new W76-1/Mk4A warhead compared with the conventional warhead of the same type. 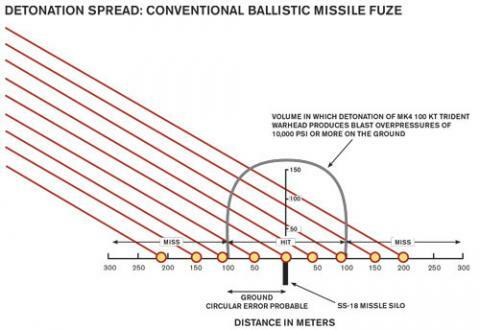 Figure 4 shows the probability that warheads will detonate close enough to destroy the ground-target for both the conventional fuze and the super-fuze. FIGURE 4. The probability of destroying a fully hardened Russian target with the super-fuzed W76-1/Mk4A warhead atop an American submarine-launched ballistic missile is about 86 percent—far higher than would be the case with the previous fuzing for the warhead. 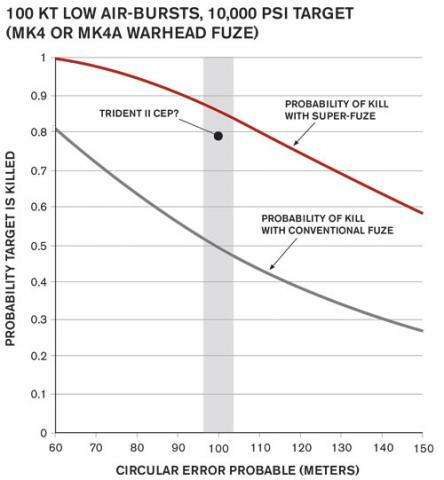 As can be seen from figure 4, the probability of kill using a submarine-launched warhead with the new super-fuze (W76-1/Mk4A) is about 0.86. This 86 percent probability is very close to what could be achieved using three warheads with conventional fuzes to attack the same target. To put it differently: In the case of the 100-kt Trident II warhead, the super fuze triples the killing power of the nuclear force it has been applied to. Many Russian targets are not hardened to 10,000 pounds per square inch blast overpressure. 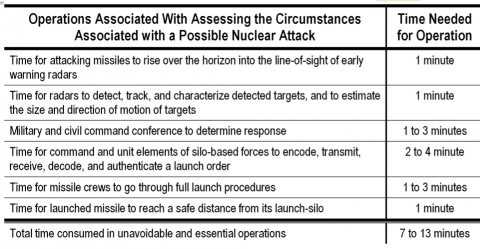 Figure 5 shows the same probability of kill curves for the case of a target that is only hard to 2,000 pounds per square inch or more of blast overpressure, which is the actual case for almost all targets hardened to nuclear attack—ICBMs and supporting command posts, hardened structures at strategic airbases, submarines at pierside or in protected tunnels, hardened command posts at road mobile missile bases and elsewhere, etc. In this case, the super-fuze achieves a probability of kill of about 0.99—or very near certainty. This case also is equivalent to achieving a probability of kill associated with using three warheads with a 0.83 probability to achieve a 0.99 probability of kill. FIGURE 5. The likelihood that a submarine-launched ballistic missile will destroy all but the most hardened targets approaches 100 percent. The probability of kills revealed by figures 4 and 5 have enormous security ramifications. The US military assumes that Russian SS-18 and TOPOL missile silos are hardened to withstand a pressure of 10,000 pounds per square inch or more. Since with the new super-fuze, the probability of kill against these silos is near 0.9, the entire force of 100-kt W76-1/Mk4A Trident II warheads now “qualifies” for use against the hardest of Russian silos. This, in turn, means that essentially all of the higher-yield nuclear weapons (such as the W88/Mk5) that were formerly assigned to these Russian hard targets can now be focused on other, more demanding missions, including attacks against deeply-buried underground command facilities. In effect, the significant increase in the killing power of the W76 warhead allows the United States to use its submarine-based weapons more decisively in a wider range of missions than was the case before the introduction of this fuze. The history of the US super-fuze program. The super-fuze is officially known as the arming, fuzing and firing (AF&F) system. It consists of a fuze, an arming subsystem (which includes the radar), a firing subsystem, and a thermal battery that powers the system. The AF&F is located in the tip of the cone-shaped reentry body above the nuclear explosive package itself. 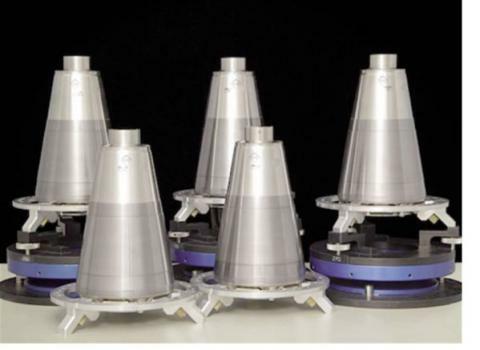 The AF&F developed for the new W76-1/Mk4A is known as MC4700 and forms part of the W76 life-extension program intended to extend the service life of the W76—the most numerous warhead in the US stockpile—out to the time period 2040-2050. It was the radar-updated, path-length compensating fuze—combined with the increased accuracy of the Trident II missile—that gave an SLBM the ability to hold a hardened target at risk. Efforts to incorporate the W88/Mk5 fuze capability into the W76/Mk4 was part of the Energy Department’s Warhead Protection Program in the mid-1990s to permit “Mk5 fuzing functionality (including radar-updated path length fuzing, and radar proximity fuzing) as an option to replacement of the much smaller Mk4 AF&F,” according to the partially declassified 1996 Stockpile Stewardship and Management Plan (emphasis added). Apart from the inherent drive to improve military capabilities whenever possible, the motivation for increasing the target kill capability of the submarine-borne W76 was that the Air Force’s hard-target killer, the MX Peacekeeper ICBM, was scheduled to be retired under the START II treaty. The Navy only had 400 W88 hard-target kill warheads, so a decision was made to add the capability to the W76. In an article in April 1997, Strategic Systems Program director Rear Adm. George P. Nanos publicly explained that “just by changing the fuze in the Mk4 reentry body, you get a significant improvement. The Mk4, with a modified fuze and Trident II accuracy, can meet the original D5 [submarine-borne missile] hard target requirement,” Nanos stated. FIGURE 6. The first of the new MC4700 AF&F super-fuzes for the W76-1 were completed at the Kansas City Plant in 2007. Delivery of the W76-1/Mk4A warhead to the Navy began in 2009. By 1998, the fuze modernization effort became a formal project, with five SLBM flight tests planned for 2001-2008. Full-scale production of the super-fuze equipped W76-1/Mk4A began in September 2008, with the first warhead delivered to the Navy in February 2009. By the end of 2016, roughly 1,200 of an estimated 1,600 planned W76-1/Mk4As had been produced, of which about 506 are currently deployed on ballistic missile submarines. The implications. The newly created capability to destroy Russian silo-based nuclear forces with 100-kt W76-1/Mk4A warheads—the most numerous in the US stockpile—vastly expands the nuclear warfighting capabilities of US nuclear forces. Since only part of the W76 force would be needed to eliminate Russia’s silo-based ICBMs, the United States will be left with an enormous number of higher-yield warheads that would then be available to be reprogrammed for other missions. Approximately 890 warheads are deployed on US ballistic missile submarines (506 W76-1/Mk4A and 384 W88/Mk5). Assuming that the 506 deployed W76-1s equipped with the super-fuze were used against Russian silo-based ICBMs, essentially all 136 Russian silo-based ICBMs could be potentially eliminated by attacking each silo with two W76-1 warheads—a total of 272 warheads. This would consume only 54 percent of the deployed W76-1 warheads, leaving roughly 234 of the 500 warheads free to be targeted on yet other installations. And hundreds of additional submarine warheads are in storage for increasing the missile warhead loading if so ordered. The Trident II missiles that are deployed today carry an average of four to five W76-1 warheads each. However, each missile could carry eight such warheads if the US were to suddenly decide to carry a maximum load of W76 warheads on its deployed Trident II ballistic missiles. And the missile was tested with up to 12 warheads. Essentially all the 384 W88 “heavy” Trident II warheads, with yields of 455 kt, would also be available for use against deeply-buried targets. In addition, about 400 Minuteman III warheads, with yields of about 300 kt, could be used to target hardened Russian targets. In all, the entire Russian silo-based forces could potentially be destroyed while leaving the US with 79 percent of its ballistic missile warheads unused. Even after Russia's silo-based missiles were attacked, the US nuclear firepower remaining would be staggering—and certainly of concern to Russia or any other country worried about a US first strike. Because of the new kill capabilities of US submarine-launched ballistic missiles (SLBMs), the United States would be able to target huge portions of its nuclear force against non-hardened targets, the destruction of which would be crucial to a "successful" first strike. One such mission would likely involve the destruction of road-mobile ICBMs that had left their garrisons to hide in Russia’s vast forests in anticipation of attack. The garrisons and their support facilities would probably be destroyed quickly, and some of the dispersed road-mobile launchers would also be quickly destroyed as they were in the process of dispersing. To destroy or expose the remaining launchers, United States planners would have the nuclear forces needed to undertake truly scorched-earth tactics: Just 125 US Minuteman III warheads could set fire to some 8,000 square miles of forest area where the road-mobile missiles are most likely to be deployed. This would be the equivalent of a circular area with a diameter of 100 miles. Such an attack would be potentially aimed at destroying all road-mobile launchers either as they disperse or after they have taken up position some short distance from roads that give them access to forested areas. Many of the nearly 300 remaining deployed W76 warheads could be used to attack all command posts associated with Russian ICBMs. A very small number of Russia's major leadership command posts are deeply buried, to protect them from direct destruction by nuclear attack. The US military would likely reserve the highest-yield warheads for those targets. 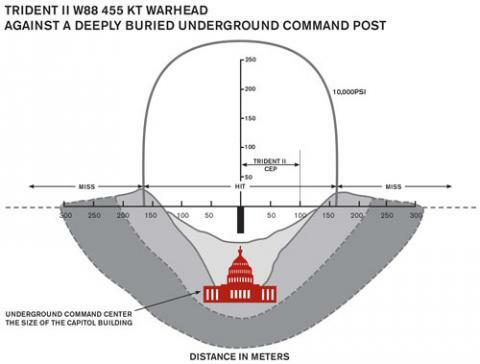 Figure 7 below shows an example of a structure that is roughly the size of the US Capitol building that is postulated to have rooms and tunnels as deep as 800 feet or more. Shelters that have rooms and tunnels at even greater depths could be sealed by using multiple nuclear warheads to crater every location where an entrance or exit might conceivably have been built. The situation with regard to the retaliatory potential of Russia’s ballistic missile submarines is problematic from the point of view of a conservative Russian planner. Although Russia currently has 11 ballistic missile submarines, currently two or three of these missile-carrying submarines are in overhaul and do not carry nuclear warheads. If the full force of available operating submarines not in overhaul could be deployed to sea, Russia could deliver roughly 592 of the full 768 warheads theoretically deployed in its submarine force. At some as yet unforeseen time in the future, Russia might be able to deploy 600 to 700 submarine-based warheads to sea, but a realistic number given the limited availability of crews and equipment might instead be 400 to 500 warheads. By 2030 to 2040, the United States could easily have built enough Aegis ships to carry 500 to 700 of the newly introduced SM-3 Block IIA interceptor. These new interceptors have a 50 percent higher burnout speed than the older SM-3 Block IA interceptors, giving the Block IIA a greater engagement range and theoretically making it possible to provide missile defense for the continental United States via Aegis ships stationed off the country's Atlantic and Pacific coasts. For all practical purposes, the intercept capability of the SM-3 Block IIA is negligible. Both the infrared homing sensors on these interceptors and the US early warning tracking radars that cue the interceptors to their targets have no practical ability to distinguish between warheads, pieces of rocket upper stages, and decoys. But the appearance created by the vast expansion of this missile defense program can and will contribute to perceptions among Russians that the United States is seeking nuclear dominance. The Russians have most recently reacted to this ongoing program by publicly displaying and implementing a new and novel sea-based nuclear weapons delivery device as a hedge against US missile defenses. In particular, Russia is now in the process of testing a 40-ton nuclear-powered underwater unmanned vehicle (UUV) that could robotically deliver, across thousands of kilometers, a 100-megaton nuclear warhead against the coastal cities and ports of the United States. The technical details of this bizarre system were released by Putin himself in September 2015—apparently intentionally—and testing began in December 2016. Such actions by the Russian government clearly indicate a grave concern about the unpredictable character of ongoing US missile defense programs. In addition to upgrading the hard-target kill capability of the W76 warhead, the US military also appears to be working to increase the targeting capability of the warheads on the land-based Minuteman III ICBM force. The Minuteman III is much less accurate than Trident II, with a CEP of about 160 meters, compared to the roughly 100-meter CEP now achieved by Trident II. These differences mean that the probability of kill could be two to two-and-a-half times higher for the same weapon carried by a Trident II with a 100-meter CEP versus a Minuteman III with a 160-meter CEP. Without a major guidance upgrade, Minuteman III could not be expected to achieve nearly the nuclear warfighting capacity of the Trident II. The Air Force is working on an upgrade to the AF&F used on the Mk21 reentry vehicle containing the W87 warhead. The W87/Mk21 warhead arms about half of the ICBM force, with the other half carrying the W78/Mk12A. Our analysis shows that fitting Minuteman III warheads with super-fuzes will give the Minuteman III essentially the same hard target kill capability as the MX had with its cutting-edge Advanced Inertial Reference Sphere (AIRS) guidance system; the MX was retired in 2005. The first production unit Mk21 fuze is planned for early 2020s with production expected to continue through 2029. The Air Force is planning to use the W87/Mk21 on a new ICBM planned for deployment in 2030. Shortfalls in Russia’s early warning system. In January 1995, a lone sounding rocket was launched from an isolated Island off the Northwest Coast of Norway. Even though the rocket was heading toward the North Pole, not at Russia, we now know that as it rose over the horizon of the curved Earth, it was tracked by the Russian early warning radar on the Kola Peninsula at Olenegorsk. Because it was on a near-vertical trajectory, the automated tracking algorithms utilized by the radar interpreted the characteristics of the trajectory as matching a Trident submarine-launched ballistic missile on a mission to detonate a nuclear weapon in front of the radar’s field of view, making the radar incapable of detecting nuclear warheads coming from longer range. That the Russian early warning system reacted to this innocuous launch unambiguously indicates that the Russian warning system has at least some measures within it to alert Russian forces to events that could indicate an evolving US nuclear preemptive attack. If the United States were to execute such an attack against Russia, Russia would certainly know that the most dangerous and most quickly arriving nuclear warheads would come from US submarine-launched ballistic missiles on station in the North Atlantic. Given the extremely high lethality of essentially all US submarine-based warheads, a well-coordinated US attack would not need to employ US land-based Minuteman ICBMs if its initial aim was to simply destroy Russia’s silo-based ICBMs before they could be launched. Such a “warfighting attack” would likely begin with the detonation of a nuclear warhead in front of key early-warning radars. An explosion of a 455 kiloton Trident II warhead at an altitude of 1,300 to 1,400 kilometers would create an area of radar “blackout” that would prevent all Russian radars looking toward the United States and into the northern parts of the North Atlantic from observing US ballistic missiles as they rose over the radar horizon. The false alert of 1995 would not have occurred if Russia had a reliable and working global space-based satellite early warning system. Russian analysts would have been able to observe that there were no US ballistic missile launches from the North Atlantic. The availability of such a system would have caused the initial alert to be called off within minutes or even more quickly. Detailed analyses, initially stimulated by questions about why the alert went on for so long, showed that a specialized space-based Russian early warning system called Prognoz was then under development. Analysis of the Prognoz satellite constellation and of available Russian infrared sensor technologies indicated that even if the satellite system had been working, it would not have been able to provide surveillance of the North Atlantic. Today, Russia has stopped launching satellites into this constellation and has instead focused enormous resources exclusively into building a highly robust and redundant network of ground-based radars. It is now very clear that Russia’s extreme de-emphasis on satellite early warning systems and its extreme focus on building numerous, technologically varied ground-based radar warning systems is due to the lack of critical technologies needed to implement a space-based ballistic missile warning system. Facing the existential threat of a short-warning attack with accurate and powerful sea-launched, nuclear-armed ballistic missiles and no ability to quickly detect their launch with space-based early warning systems, Russian leadership would seem to have little choice but to pre-delegate nuclear launch authority to lower levels of command. Many possible ways of pre-delegating authority are possible, but none of them are free of dangers that could increase the chances of accidents that could ultimately result in the mistaken launch of Russian nuclear forces. Forcing this situation upon the Russian government seems likely to be detrimental to the security interests of the United States and its Western allies. Our conclusions. Under the veil of an otherwise-legitimate warhead life-extension program, the US military has quietly engaged in a vast expansion of the killing power of the most numerous warhead in the US nuclear arsenal: the W76, deployed on the Navy’s ballistic missile submarines. This improvement in kill power means that all US sea-based warheads now have the capability to destroy hardened targets such as Russian missile silos, a capability previously reserved for only the highest-yield warheads in the US arsenal. The capability upgrade has happened outside the attention of most government officials, who have been preoccupied with reducing nuclear warhead numbers. The result is a nuclear arsenal that is being transformed into a force that has the unambiguous characteristics of being optimized for surprise attacks against Russia and for fighting and winning nuclear wars. While the lethality and firepower of the US force has been greatly increased, the numbers of weapons in both US and Russian forces have decreased, resulting in a dramatic increase in the vulnerability of Russian nuclear forces to a US first strike. We estimate that the results of arms reductions with the increase in US nuclear capacity means that the US military can now destroy all of Russia’s ICBM silos using only about 20 percent of the warheads deployed on US land- and sea-based ballistic missiles. Eventually, super-fuze upgrades will make it possible for every SLBM and ICBM warhead in the US arsenal to perform the hard-target kill missions that were initially envisioned to be exclusively reserved to MX Peacekeeper ICBM warheads. The W76 upgrade reflects a 25-year shift of the focus of US hard-target kill capability from land-based to sea-based ballistic missiles. Moreover, by shifting the capability to submarines that can move to missile launch positions much closer to their targets than land-based missiles, the US military has achieved a significantly greater capacity to conduct a surprise first strike against Russian ICBM silos. The decision by the Obama administration in 2009 to deploy the Aegis ship-based European Phased Adaptive Approach (EPAA) missile defense system has created a program under which the United States could eventually have between 500 to 700 anti-missile interceptors that could in theory be used to defend the continental United States from ships off the country's coasts. In spite of its severe limitations, this growing defense system could appear to both Russia and China as a US attempt to reduce the consequences of a ragged Russian or Chinese retaliation to a US first strike against them. We cannot foresee a situation in which a competent and properly informed US president would order a surprise first strike against Russia or China. But our conclusion makes the increased sea-based offensive and defensive capabilities we have described seem all the more bizarre as a strategy for reducing the chances of nuclear war with either Russia or China. That Russian silos are more vulnerable to W76-1/Mk4A warheads will not come as an earth-shattering revelation to Russian military officials; they would have to expect that the silos would be destroyed anyway, by US land-based ICBMs. But the growing capability of the US forward-deployed sea-based nuclear missiles could raise serious questions in the minds of Russian military planners and political leadership about US intentions—especially when seen in context of growing US cyber, advanced conventional, and missile defense capabilities—almost certainly deepening mistrust and encouraging worst-case planning assumptions in Moscow. No matter what we said to our American partners [to curb the production of weaponry], they refused to cooperate with us, they rejected our offers, and continue to do their own thing. … They rejected everything we had to offer. That means we were right when we said that they are lying to us. Their reasons were not genuine, in reference to the "Iranian nuclear threat." Your people [the populations of the Western alliance] … do not feel a sense of the impending danger—this is what worries me. A missile defense system is one element of the whole system of offensive military potential. It works as part of a whole that includes offensive missile launchers. One complex blocks, the other launches high precision weapons, the third blocks a potential nuclear strike, and the fourth sends out its own nuclear weapon in response. This is all designed to be part of one system. I don't know how this is all going to end. What I do know is that we will need to defend ourselves. Kristensen is the director of the Nuclear Information Project with the Federation of American Scientists (FAS) in Washington, DC. His work focuses on researching and writing about the status of nuclear weapons and the policies that direct them. Kristensen is a co-author to the world nuclear forces overview in the SIPRI Yearbook (Oxford University Press) and a frequent adviser to the news media on nuclear weapons policy and operations. He has co-authored Nuclear Notebook since 2001. McKinzie is the director of the Nuclear Program of the Natural Resources Defense Council (NRDC) in Washington, DC. He and Kristensen recently co-authored “Reducing Alert Rates of Nuclear Weapons,” published by the United Nations Institute for Disarmament Research in October, 2012. A physicist, Postol is professor of science, technology, and national security policy at MIT. His expertise is in ballistic missile defense technologies and ballistic missiles more generally. Prior to coming to MIT, he worked as an analyst at the Office of Technology Assessment and as a science and policy adviser to the chief of naval operations. In 2001, he received the Norbert Wiener Prize from Computer Professionals for Social Responsibility for uncovering numerous false claims about missile defenses. The Bulletin of the Atomic Scientists is a US-based, independent, 501(c)(3) non-profit organization, Federal EIN 36-2136497. Your gift supports a vital global information network for scientists, policymakers, and citizens around the world. Gifts made in the US are tax deductible to the fullest extent allowed by the law. Thank you!